Ghosting is becoming a familiar term in dating. It’s a passive-aggressive way of breaking up with someone, where one partner goes completely silent by not returning calls or answering texts, offering a not-so-subtle rejection of their partner. While this behavior existed long before dating apps were created, it’s only become more common as dating apps have taken off. A recent survey confirms this trend. Dating website Plenty of Fish (POF), one of the largest dating sites in the world, surveyed 800 Millennials between ages 18-33 in both the U.S. and Canada to understand attitudes and behavior patterns among young daters. Results of the survey showed that an overwhelming majority - 80% of Millennials - have at some point in their dating lives been ghosted. There are many reasons behind the trend of ghosting. Dating apps do make it easier, since people can be anonymous. Most daters don’t have mutual friends in common when they meet over apps, so they aren’t really held accountable for their actions or behavior. It’s also much easier to ghost someone you may not know very well instead of confronting them directly. The assumption is that it’s easier to ghost someone than than to reject him outright (like it's easier to text than to call), or that the relationship was a casual one and therefore it’s “not a big deal” to just let it disappear. 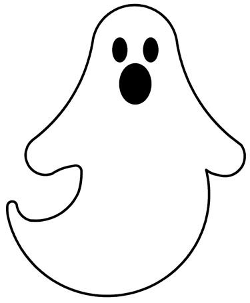 In fact, “ghosting” seems to be the new trend when ending a relationship, and daters know it will happen. Fifteen percent of survey respondents admitted to scheduling multiple dates in one night, assuming that at least one date wouldn’t work out. There’s no “Dating Apocalypse”: Contrary to popular belief, an overwhelming majority - 75% of millennials - use dating apps because they’re looking for a serious relationship. Forty-nine percent identified “just looking to hookup” as the biggest misconception about singles under the age of 30. Financial difficulties factor into dating and relationships: According to the study, 30% of millennials live at home with their parents, and not surprisingly, 50% say this living situation negatively impacts their love life. Savvy Singles: 50% millennial singles over the age of 24 have already been dating online for 5 years or more, with the majority of respondents currently using more than one dating app. Twenty-three percent visit an online dating site or app 3-5 times every day. If a date goes well, 20% of millennials won’t even wait one day to set up a second date. Millenials aren’t just looking for hook-ups and are serious about finding relationships, which is good news. However, many dating app users need a few lessons when it comes to improving their dating behavior. Ghosting isn't the best way to end a new relationship. For more information on this dating service you can read our POF review.